Just got back from two weeks of writing with Morten Harket on the beautiful island of Ilha Grande in Brazil. The monsoon rains and extreme humidity made all my technical equipment break down but even so it was a really creative stay with lots of new songs coming together! 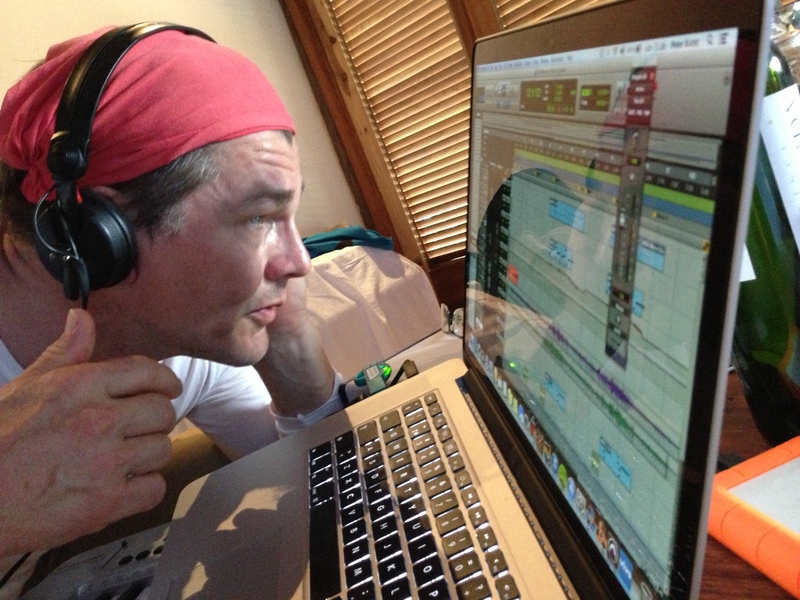 Here’s a snapshot of a vocal session featuring mr Harket singing straight into my laptop mic. “Jag och min far” is #1 on Svensktoppen this week too (8 weeks now). Magnus Uggla is doing a live show at Hamburger Börs in Stockholm at the moment, and we’ve made a live album with the music from the show. Release date is Feb 27.